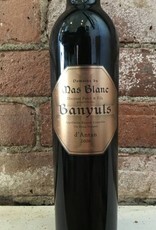 The famed fortified sweet wine of the Roussillon. 100% Grenache noir done in the Banyuls Rimage style, that is bottled young, after only a couple years in barrel, then aged gracefully in bottle. Keeps after opening for 2 to 3 months if stored in refrigeration. "Recalling his grandfather’s fondness for the old wines aged in chestnut barrels, third-generation winemaker Jean-Michel Parcé commissioned two 500-liter barrels from a stand of chestnut trees on his cousin’s property in Roussillon. Once common in cellars throughout Europe, chestnut is now rarely found. More porous than oak, it requires greater attention on the part of the winemaker, but managed well it can impart structure married to a fat, exuberant, oxidative expression, full of generosity and rustic charm. 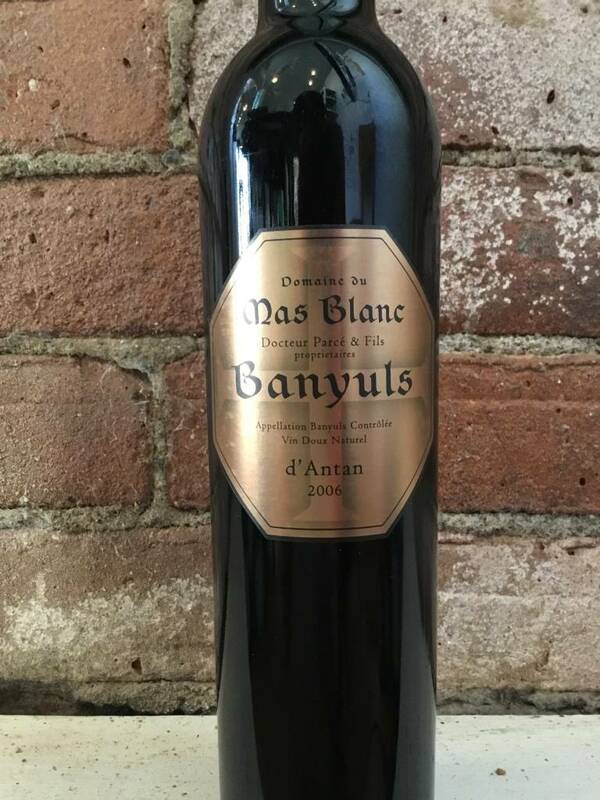 Bottled in August 2017, the Banyuls d’Antan 2006 was hand-harvested and vinified in traditional fashion: foot-trodden and fermented with native yeasts in stainless-steel tanks. 100% Grenache noir, it has the warmth and rigor of an old farmer’s handshake. Enjoy with creamy blue-veined cow’s milk cheeses, with nuts and dark chocolates. Best served at cellar temperature."